1. Before heading out on a road trip, check the cooling system and AC to keep your car and yourself cool. Your vehicle’s radiator needs water and antifreeze to keep your engine working properly. If you notice your coolant looks rusty or has debris in it, have it flushed and refilled by your auto mechanic. Ensure your AC is cooling the cabin well for the comfort and health of passengers, especially those sensitive to heat like older adults and children. If it’s blowing out lukewarm or hot air, it may need more Freon. 2. Use car sun shades whenever your car is parked in the sun to protect the interior and keep it cooler. Radiant barrier car shades---the ones with a foil surface---work best, because they reflect sunlight, not just block it. Using a car sun shade can reduce the temperature in your cabin by up to 25F degrees and the temperature of your dashboard by as much as 40F degrees. 3. Stay hydrated by keeping a filled water bottle in your car when you’re heading out for the day. Between dry air from your car’s air conditioner and the sun beating in through the windows, making it easy to stay hydrated will help you stay cooler and healthier throughout the summer. And always remember to not leave children, pets or heat sensitive materials in your car, not even for a quick stop. 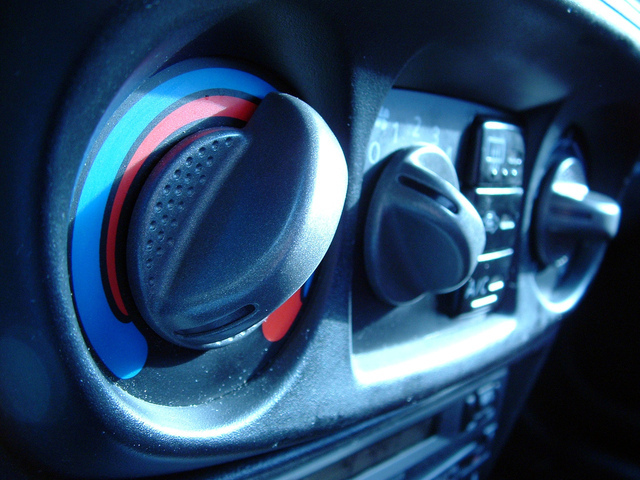 Research has shown “that a car's interior can heat up by an average of 40F degrees within an hour, regardless of ambient temperature.” Eighty percent of the heat increase is attained within the first 30 minutes. Stay cool and stay safe this summer with these tips!